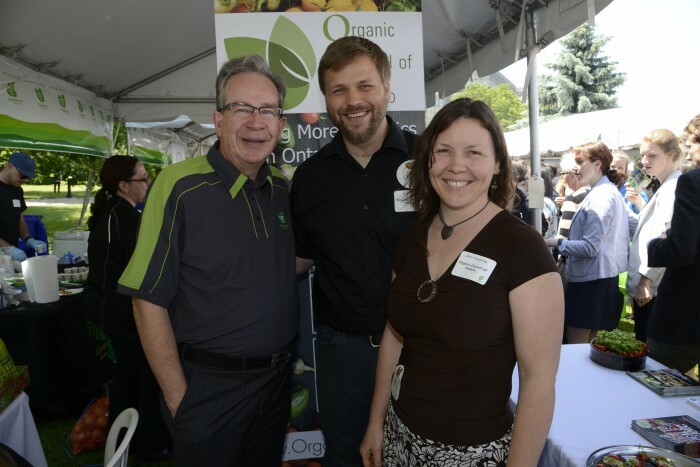 On June 4th 2015, the Organic Council of Ontario joined many other commodity groups at the Queen’s Park Farmers Market to showcase the great organic food grown and processed in Ontario! 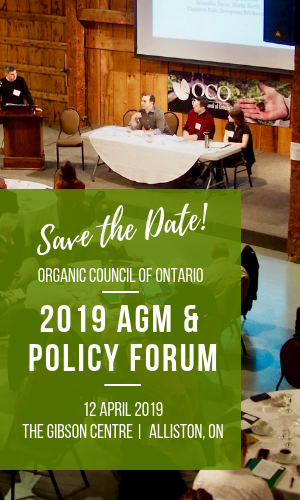 Organic Council staff and board members had the opportunity to discuss key issues affecting organic farms and businesses with the Minister and Deputy Minister of Agriculture, Food, and Rural Affairs. 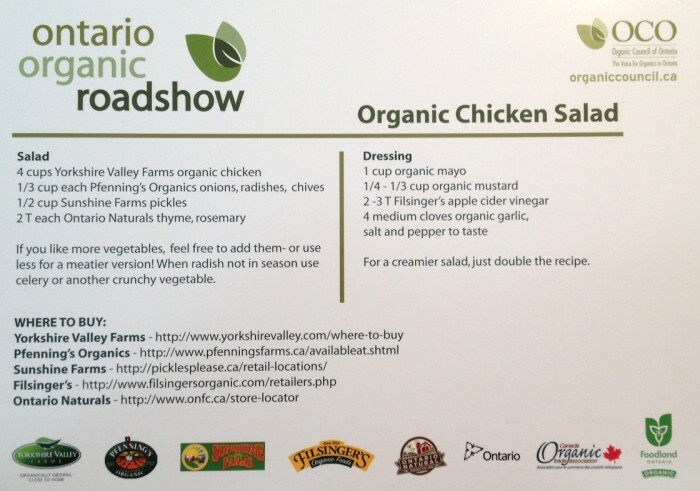 Hundreds of Queens Park staff, politicians, and members of the public were invited by Foodland Ontario to sample the good things that grow in Ontario and OCO offered an extremely popular Organic Chicken Salad featuring Yorkshire Valley Farms organic chicken, Pfenning’s organic vegetables, Sunshine Farms pickles, in a dressing featuring Filsinger’s apple cider vinegar.